Benjamin Franklin was a man of many talents—but safeguarding state secrets was not among them. According to a recently released article by a CIA analyst, when Franklin was on a diplomatic mission in France, he allowed his offices to be penetrated by British spies during a crucial period in the American Revolution. The article originally appeared in the CIA's in-house journal, Studies in Intelligence. A few articles from each issue of the journal are made available to the public, but most remain classified. However, as part of an effort to settle a lawsuit brought by a former employee, the agency has released dozens of articles spanning decades. This article on Franklin—which doesn't reveal the author or the publication date—is one of several historical treatises that the CIA has published from time to time (such as this one about the disastrous intelligence failures that led to the invasion of Washington, DC during the War of 1812). The years 1775 to 1777 are the primary focus of this study. The geopolitical rivalry between France and Britain provided the American colonies with an excellent opportunity to play on French desires to weaken the British worldwide. The French, still bitter from their defeat in the Seven Years' War, were eager to assist the colonies—if their chances for success were good. In late 1775, Julien Achard de Bonovouloir, an agent of the French foreign ministry contacted Benjamin Franklin in Philadelphia. During three subsequent secret meetings with members of the Continental Congress, de Bonovouloir was told about the impending decision to declare independence and assured that the American Army would be able to defeat the British. Further negotiations led to a tentative pledge of support from France and, in September 1776 the Continental Congress appointed an official Commission that would be stationed in Paris. Its members would be Franklin (the de facto head of the diplomatic mission), Silas Deane (a politician and merchant from Connecticut) and Arthur Lee, an American-born lawyer living in London. clothing for the American Army. Covert purchase of European-built ships for use in carrying supplies. Management of secret financial aid from the French government. Directing "nonattributable" privaterring activities out of French and Spanish ports against British naval and merchant vessels. Propaganda operations in France, England, and the Netherlands in support of American independence. And the British knew about all of it. Dr. Edward Bancroft was a respected scientist and businessman in London, who had become friends with Benjamin Franklin in the early 1770s, when Franklin was a colonial business agent. Franklin had acted as a mentor to Bancroft, sponsoring him for the British Royal Society. Bancroft was believed to be sympathetic to the American cause, and he also became a confidant to Silas Deane. But Bancroft was a spy for the British government, who had identified him as a potential asset as early as 1772, when political dissent was on the rise in the colonies. 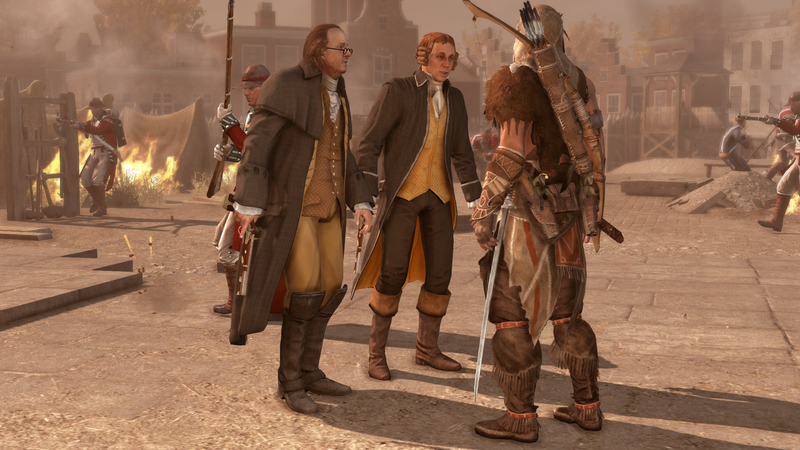 In 1777, British intelligence cooked up a cover story for Bancroft, who wrote to Franklin and Deane saying that he no longer felt safe in London and was coming to Paris—where, perhaps, he could help his friends in their efforts? He joined the American Commission as a private secretary, with access to all its papers. There was no real physical security at the Commission itself. The public had access to the mansion, documents and papers were spread out all over the office, and private discussions were held in public areas. Commissioner Arthur Lee was appalled by the lack of any physical protection. He wrote that a French official "had complained that everything we did was known to the English ambassador, who was always plaguing home with the details. No one will be surprised at this who knows that we have no time or place appropriate to our consultation, but that servants, strangers, and everyone else was at liberty to enter and did constantly enter the room while we were talking about public business and that the papers relating to it lay open in rooms of common and continual resort. While all three commissioners share in the blame, Franklin, as the mission head, has to bear primary responsibility for the lack of security and counterintelligence in Paris. By the time he arrived in Paris in late 1776, he was elderly and had little interest in the administrative aspects of the Commission. Franklin was widely recognized as a statesman, scientist, and intellectual. While highly respected, he was also vain, obstinate, and jealous of his prerogatives and reputation. He had decided that his role would be that of an "agent of influence" among the politically powerful in France. He found it convenient to allow Deane to handle the Commission's housekeeping affairs while he moved among the wealthy and powerful social elite. Also, the Commission was "under protection" of the French Government, and Franklin may have underestimated British capabilities to operate in a third country. In any event, he did nothing to create a security consciousness at the Commission. In addition, Franklin's personal association with Deane and Bancroft and his dislike of Lee caused him to brush aside Lee's accusations. Like many government officials before and after him, he may have believed that he knew exactly what he was doing and that his judgment required no additional verification. In short, Benjamin Franklin had forgotten a basic rule that he had written years earlier in Poor Richard's Almanack: "If you would keep your secret from an enemy, tell it not to a friend."